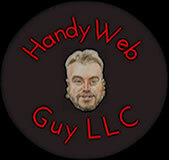 SEO - Handy Web Guy LLC "At Your Service" - Custom Web Platforms Built Just For YOU! SEO Services - GET FOUND! To get sales or clients, you need visits to your website. This can't be done if your site is NOT FOUND in the search engines! With the assistance of Handy Web Guy LLC, get your results HIGH on search engines. Get Found. Get Sales!